Scotland’s First Minister Nicola Sturgeon visited Auschwitz last week. Those of us who have been can understand when in her article in the Scotsman she described the effect. Especially when she talks about the sheer industrial scale of Birkenau. However she has also come under criticism from some who suggest that this was just a publicity stunt and a photo-op. That is not fair and unnecessarily cynical. The First Minister was invited by the Holocaust Educational Trust and I for one think it was excellent that she went. Her article however is a disappointment – showing a shallowness of thinking and a resort to simplistic truisms that no-one can disagree with, and yet offers nothing. Auschwitz is not for publicity shots. I do not believe that that was the purpose of the visit. And I understand that some may think that the mere presence of the First Minister of Scotland at the gates of Auschwitz (proven by the photos) may be considered by some to be a significant factor in ensuring that ‘it never happens again’. I don’t agree. It may not have been political opportunism but even to allow the possibility of that charge is wrong. If it’s not a photo-op why take photos looking wistfully at the photos or standing in front of the gates? These should be private moments. They don’t need you or me or anyone else to give them meaning or to emphasise the seriousness of what happened. The world doesn’t need to know our thoughts. Indeed our presence and the focus on ourselves only detracts from the horror. Auschwitz is not for selfies or publicity photos. 2) Soundbite Slogans don’t change the world. Everyone can make slogans. 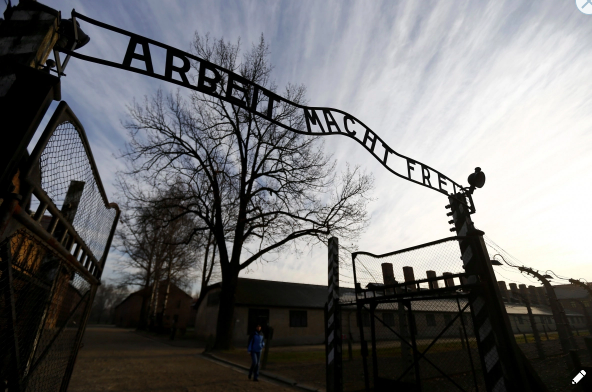 Over the gates of Auschwitz are the words Arbeit Macht Frei – Work makes us free. It is the type of soundbite that authoritarian governments and dumbed down publicists love. Love is Love. Brexit means Brexit. An Independent Scotland in an Interdependent Europe. Better Together. Love Trumps Hate. 3) When government replaces God we end up with tyranny. Godwin’s law is often cited. “the theory that as an online discussion progresses, it becomes inevitable that someone or something will eventually be compared to Adolf Hitler or the Nazis, regardless of the original topic.”. It is foolish to compare the SNP to the Nazis or to insist that its current leader should apologise for the few nationalist fanatics during the Second World War who suggested supporting Hitler against the British State (just as the Irish remained neutral whilst some in the Irish Republican movement sided with the Nazis). But the use of ‘Godwin’s Law’ should not prevent learning lessons from the Nazi era – as the First Minister tried to point out. The Nazis were great exponents of identity politics. First of all the government/governing party becomes Germany. ‘We are Germany’. ‘Germany says’. If you do not agree with the governing party you are not Germany’. I accept it is a matter of degrees and there may be a long way to go but as the FM pointed out, these things advance by steps. It is a step towards totalitarianism when you have a government that puts up posters which say ‘Scotland says’, the implication is that if you do not agree, you do not belong to Scotland. Or when you say that anyone who agrees with your values can be Scottish, with the clear implication that those disagree with any of those values are not really Scottish. The State announcing that it speaks for all true Scots is highly dangerous. But it is even more so when the culture abandons its Christian heritage (as the German culture did), rejects absolute values, or places those absolute values in the State and the governing party. When the State acts as God….we are no longer in a free democracy. 4) Anti-semitism is real in Scotland – I have witnessed a growing anti-Semitism in Scotland and am glad that the FM acknowledges it. It is because of this that when the Israeli Ambassador visited Edinburgh Theological Seminary he required more security and armed protected than the First Minister would. I wrote about this in The Record – (this is attached as an appendix). My question to the FM is to ask her what she is going to do about the causes of anti-semitism and deal with it in her own party? Let me also ask her to reflect on this question – the Scottish Parliament has no responsibility for foreign policy yet there have been 59 motions in the Scottish Parliament of which 52 have been anti-Israel – why? 5) We need to be careful not to use the Holocaust to justify our particular policies or demonise our opponents. It’s fine to take general principles (like we must oppose hate, or don’t let government become God) but we need to be careful of the particular. “One of the most important lessons I took from the visit is that we should not be a bystander in our everyday lives – and not turn a blind eye – to prejudice, discrimination, bigotry and racism. It is incumbent on all of us to think about what we can do to confront and challenge hatred and division wherever we find it. I agree with the sentiments above but they need to be filled out and explained and not used as code to promote the Governments policies as though to oppose them were to be equivalent to the Nazis. Because, make no mistake, this is how it works. If the Government tells us that supporting SSM is about supporting love and tolerance and challenging discrimination…then lo and behold, those of us who don’t support that policy, are therefore on the same path as the Nazis! We need to take the beams out of our own eyes. I see a level of hatred and discrimination against all kinds of peoples. It was easy for the Nazis to blame the Jews – a despised religious minority. I have seen, on a much smaller scale (but as Nicola says – it all starts small) similar sentiment expressed against Catholics and Evangelical Christians. Perhaps the Scottish Government should challenge that? They should also challenge the ‘Tory Scum Out’ people and those who mock, abuse and intimidate every one who does not share their political opinions. Yes – we have to challenge hate and discrimination – but we won’t do so by vacuous soundbites. ‘Love is love’ is meaningless. ‘God is love’ has all the meaning in the world….especially when you look at the holocaust of the Cross. (note the original meaning of the word holocaust was a Jewish sacrificial offering which was burnt completely on an altar. )…The only hope for all humanity – Jew and Gentile…is Christ. Scotland – the Most Tolerant Nation in the World? When the Israeli ambassador Mark Regev, spoke at a Glasgow university he was picketed by people chanting ‘from the Jordan to the sea, Palestine shall be free’. This was a less than subtle reference to the wiping out of the State of Israel. A homosexual activist recently told me that he was thinking of leaving the UK, not because of homophobia, but because of anti-Semitism. And other Jewish friends have told me that the increase in anti-Semitism being experienced throughout much of Europe is on the rise in both the UK and in Scotland. Why? Firstly there is the traditional European anti-Semitism. This is something that runs very deep. I have come across it in various forms, not least in one lady who told me that IF the holocaust happened the Jews probably deserved it. I have been astounded at how deeply ingrained this anti-Semitism seems to be. The primary cause of the increase in anti-Semitism in the UK is because of the increase of Islam. When the film Schindlers List came out in 1993, I asked a Muslim friend if she wanted to come and see it with me at the local Odeon. She flat out refused because she said that the Holocaust probably did not happen – it was Jewish propaganda. I was astonished because she was as liberal a Muslim as I have ever met. It began to make sense to me that Mein Kampf is still a bestseller in Turkey. Traditional ingrained anti-Semitism, combined with Islamic anti-semitism and right wing anti-semitism, has now been joined by the new kid on the block – left wing anti- semitism. This is seen in the resurgent radical left and also in other political parties. How did an SNP MSP get away with posting a cartoon on twitter showing piglets suckling a large pig with the word ‘Rothschild” written on it, and a bank with the Star of David? And there have been examples of anti-Semitism in the Tory and the Liberal parties. This is also the case in academia where being pro-Palestinian and anti-Israeli is almost a necessary qualification for any self-advancing academic. How many academic institutions, so impeccably PC on so many issues, have turned a blind eye to the illiberal policies of their sponsors, just because of the money? How many have turned a blind eye to the implicit anti-Semitism on their campus’s? Why the Focus on Israel? I am not a Christian Zionist, although I believe that the Jewish people have a right to their own homeland – especially after centuries of pogroms, persecutions and ultimately the Holocaust, in Europe. I do not think that to criticize the country of Israel is necessarily anti-Semitic. But I do believe that the focus on Israel above all other countries is because of anti-Semitism. The Scottish Parliament has had 59 motions on Israel (despite the Scottish Parliament having no responsibility for foreign policy), of which 52 have been anti-Israel. As Christians we should stand with the Jewish people and oppose with every fibre of our being, this grotesque and evil increase in anti-Semitism. Looking forward to meeting you and hearing you at the FIEC Leaders’ Conference next week in Torquay. My wife and I are stewarding. We come from an FIEC church in Bournemouth, a town where I chair the annual Bible Convention. Actually I joined a lot of lefties at Queens University in Belfast recently to protest at Mark Regev’s visit. I remember during the 2014 Israel pogrom in Gaza, Regev coming on to our screens to defend the actions of his country which murdered 2,200 Palestinians including 640 children. I remember him trying to defend the blowing to bits of four young boys whose only crime was playing football. Jon Snow demolished him on C4. I also wanted Muslims to see that some Christians acknowledge their plight and fight for justice and human rights. With my Spectator umbrella I received some rare looks but it is sad when the likes of Sinn Fein are calling for justice and peace whilst Zionist Christians ignore the bloodshed and one sidedness of the conflict. Israel is entitled to exist but as a civilised nation which does not bomb and threaten its neighbours, but within its own borders. Israel has just voted to become, legally, a racist state and the Likud charter confirms that there is no place for Palestinians within the Greater Israel Project. Christians need to correct the Zionist rhetoric. Yes I have preached on it…no horrendous behaviour is acceptable…! Praying for the peace of Israel. I liked your post, especially #3. 3rd attempt at leaving a comment! Thanks again for a challenging blog. Just a couple of thoughts. You haven’t specifically mentioned the Labour Party (Scottish or otherwise) in your list of offending political parties – I was just wondering why? You have not mentioned the horrendous behaviour of the state of Israel in their treatment of Palestinians including Palestinian Christians – does this mean it’s acceptable? Or to do so makes one an anti-Semite? Our Minister preached on passage in Mark – Give unto Caesar……….. I found that a challenge; coupled with your blogs especially on “Scotland Says” ; and recent action/inaction by the Scots Govt have led me to question where we are going. I don’t hide my desire for Scottish Independence but I was wondering have you preached on this passage and is it available – I would like to delve deeper into this passage and value your thoughts. Thanks Andrew…..all comments on this blog are monitored (because I get so many and I don’t want it to be turned into a typical internet discussion. I am not on the internet all the time and usually go through the comments once a day…thanks for yours.. There are three huge problems in the church (and even among committed Christians) regarding the situation in Israel/Palestine. 1. An ignorance (and I use the term non-pejoratively) of the modern history and true situation in the country. This ‘unknowing’ is easy prey for the media and establishment bias against Israel. The latter is extremely subtle but nevertheless very powerful (as the welter of the anti-Israel tropes illustrate). 2. A failure to understand and/or believe that God keeps his everlasting covenants (include preeminently the promises made to Abraham). 3. A failure to recognise or appreciate that the ‘battle for Israel’ is fundamentally spiritual in nature. (Jesus is coming back to the mount of Olives which stands beside Jerusalem: a city in which God has “caused His name to dwell”.) It would seem that the enemy of God knows God’s ultimate purposes better than (some of) those in our churches. Christian Zionism (US-style) is highly political. Biblical Zionism is…. well.. biblical. Very interesting blog post as always. I personally find ‘Christians’ who are anti-Semitic illogical and rather distressing. 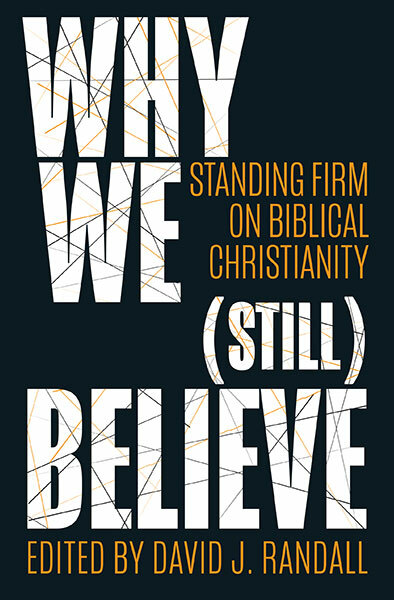 I’ve just been recommended by someone on Premier’s forum that I read a book by a former CoE vicar who shares Holocaust denial views. I’m interested in the section of this blog post re the Scottish parliament having had 59 foreign policy motions out of which 52 have been anti-Israel. How do I find out more about this?